Perhaps the most used glass product throughout the world, toughened glass (or tempered glass) is one of the mainstays of Tufwell Glass. Toughened glass is used for a massively diverse range of functions including glass partitions, windows, doors, furniture, glass balustrades and signs. Toughened glass is formed by passing annealed glass through a temperature and time control oven which takes the glass temperature to near melting point. 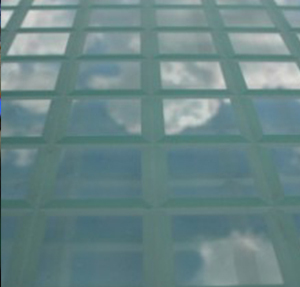 Compared to standard annealed glass, tempered glass offers far greater mechanical strength and controlled fracturing to prevent shards in the event of breakage. Tufwell has its own dedicated glass tempering facility and can provide toughened glass sheets up to 2400mm x 3600mm in thicknesses between 6mm and 19mm. Glass floor tiles make an attractive, hard wearing addition to any environment. Tufwell provides floor tiles for almost every possible use, whether internal or external.